San Diego’s annual Gator By The Bay, the largest, most-authentic Louisiana-themed music and food festival this side of the bayou, will be held at Spanish Landing Park on beautiful San Diego Bay. 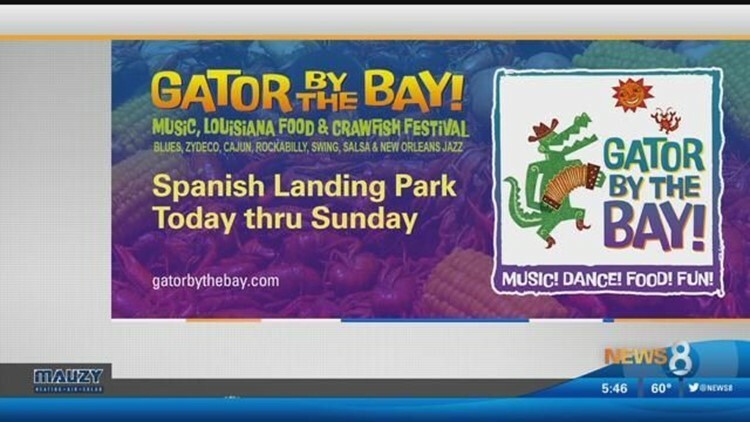 SAN DIEGO (NEWS 8) - San Diego’s annual Gator By The Bay, the largest, most-authentic Louisiana-themed music and food festival this side of the bayou, will be held at Spanish Landing Park on beautiful San Diego Bay. Presented by the Bon Temps Social Club of San Diego, this celebration features four days of live music with more than 100 musical acts and special performances on seven stages as well as a delicious array of southern cuisine, including 10,000 pounds of fresh crawfish trucked all the way from Opelousas, Louisiana! The event runs from May 10th through the 13th. News 8’s Ashley Jacobs is with Hitman & The Honeycat Blues Band delivering a sample of the music, food and culture at Gator By The Bay!